Craving a getaway where action meets atmosphere? 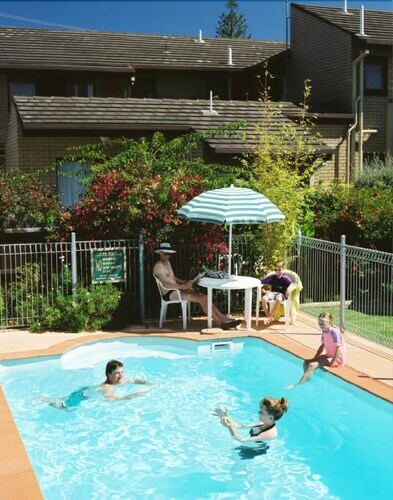 Our Lakes Entrance accommodation offers visitors an array of options to suit every holiday fantasy. Luxury holiday apartments, tasteful resorts and motels, and boutique cottages lay the ideal platform for a memorable marine vacation. The man-made entrance allows the ocean to mingle with the lakes and provides a safe and expansive harbour for a wide variety of exciting water based activities. Relax by the sheltered harbour and cast a line while you sit back and soak in the angelic sunset. Alternatively, sacrifice the peace for a dose of pace by taking a thrilling jet-ski or sail boat ride in one of the many lakes. From out Lakes Entrance accommodation, a time-out from the adventure is right on the doorstep. Unwind over an alluring meal in one of the many great restaurants Lakes Entrance has to offer. From intimate cafes to fine dining restaurants, you can find a feast of culinary delights, both authentically Australian and from around the globe, all served with traditional country-style hospitality. For the ultimate sense of relaxation, watch the dolphins as they come and go through the entrance and frolic among the boats and keep an eye out for the occasional whale as it cruises along the coast. For an intake of local scenery, take a nature walk through the forests surrounding the lakes and revel in the flourishing birdlife. Even better, be guided to a hidden oasis on a scenic flight, cruise or drive of the Lakes National park and Gippsland Lakes Coastal Park. So if you are long awaiting a scenic seaside escape, look no further than our Lakes Entrance accommodation. How Much is a Hotel Room in Lakes Entrance? 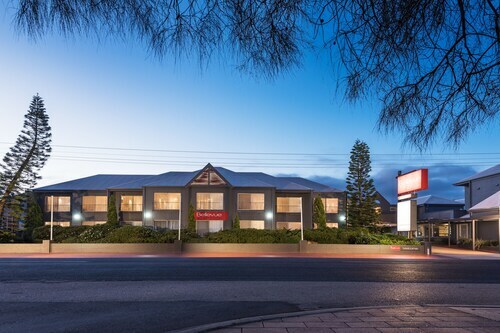 Hotels in Lakes Entrance start at AU$77 per night. Prices and availability subject to change. Additional terms may apply. Local and easy to park. Modern bathroom and nice room.